first of all I want to say a big thank you to Mel for believing in me and inviting me to be on the team .. I feel very honoured.. it is such a fabulous site with extremely talented team members...click HERE to see all the wonderful inspiring art. the criteria this month is .. WHITE, AQUA/TEAL AND CHIPBOARD. 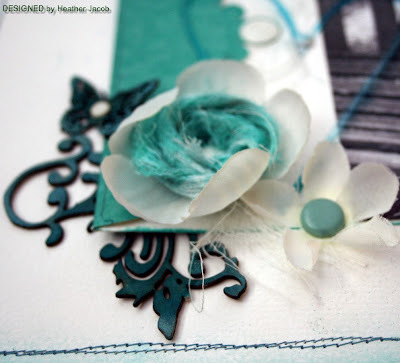 this is one of my very fave colours to scrap with ...love it .. I used the Imaginarium chippies..
thanks for droppin' by and leaving some louvvvee for me . your comments make my day ..
have a fun weekend and enjoy what ever you have planned. So gorgeous...love the textures & layers & such a beautiful photo. Oh wow!!! This is just lovely!!! I love how you combine the different tones and textures! Heather this is soooo you and soooo stunning. I just adore your style and your attention to detail. You use the color perfectly in your WW1 LOs. Fabulous. Love the colours and the layout is just so stunning. The way you play with colours and chipboards is AMAZING !!!! I love this project ! In fact, I love every single project you make. I am totally fan ! Oh Heather this is a gorgeous colour combination. Love your LO. Just a amazing page...I love every details !!!! The photo is charming...so beautifully dreamy... Heather you done fabulous creation! and especially love the colour choice on this gorgeous layout. Beautiful and sweet page you made agai...yummie chippies to! WOW! This is beautiful!!! I love it! Another stunning LO, Heather......just gorgeous. Absolutely gorgeous, Heather! Beautiful layering and details. I must try this challenge one of these days! LOVE what you did with this lo as well! That pic is just perfect! Beautiful, beautiful lo! Beautiful elegant style,so well balanced, just lovely. oh, wow! breathtaking!! it´s PERFECT! Such a beautiful color combo, and lots of gorgeous details. I love visiting and being inspired! 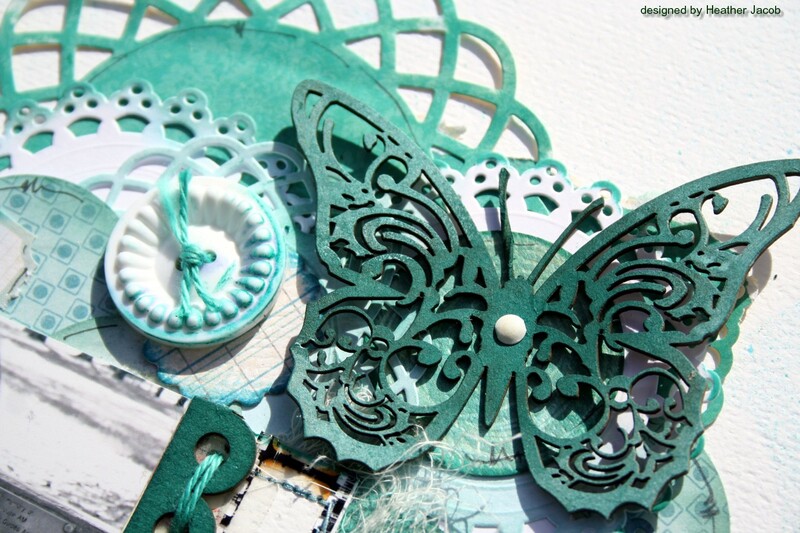 Oh Heather this layout is devine, the colours, the butterfly, the design, the photo, the embellishments, just so perfect, thanks for the inspiration! That colour scheme looks absolutely stunning! I am so into minimal schemes now - that use only a couple of colours - they are just so darn effective - and so much of that inspiration has come from you & your amazing pages - thanks for sharing them with the world!